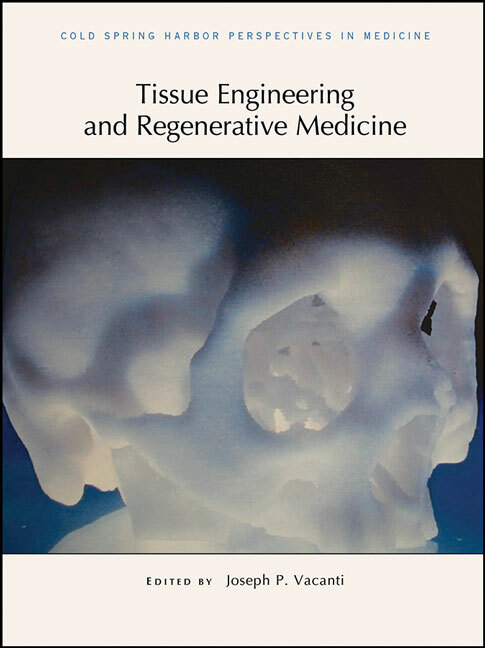 Tissue engineering is an interdisciplinary field in which scaffolds, cells, and biologically active molecules are used to construct body tissues and organs. The field aims to find solutions for the repair of damaged tissues and enable the production of organs for transplantation. Written and edited by experts in the field, this collection from Cold Spring Harbor Perspectives in Medicine surveys tools that are currently available to scientists and engineers in the field and how they have been used to fabricate physiologically appropriate tissues and organs. The contributors discuss the preparation of biologically active scaffolds that induce regenerative responses, three-dimensional bioprinting strategies to fabricate structures in preprogrammed patterns, and scaffold-free approaches using cells capable of self-assembly. The authors also review recent advances in the fabrication of specific body structures, including the craniofacial complex, heart and blood vessels, intestine, and bone and cartilage. This book is therefore essential reading for all scientists, engineers, and physicians interested in the replacement, repair, or regeneration of human organs and tissues.